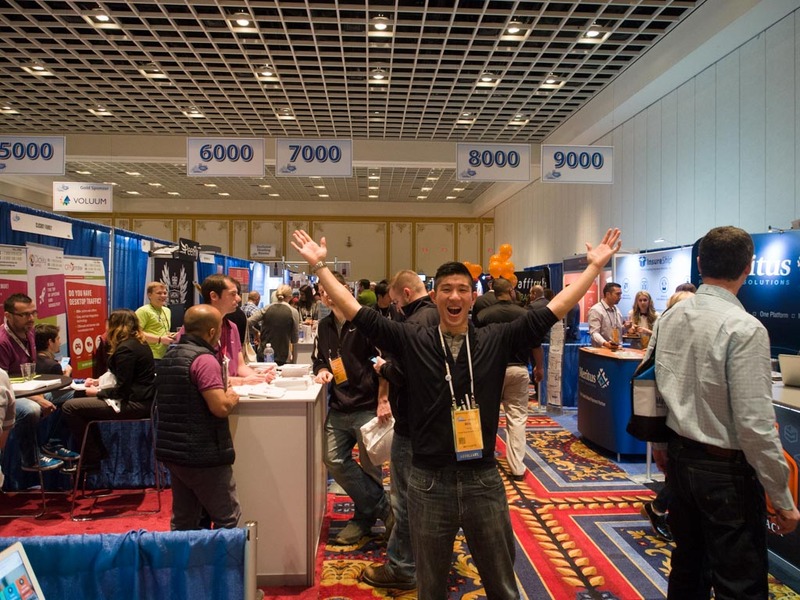 If I could sum up my experience at Affiliate Summit West 2015 (ASW15) in two words, it’d be “eye-opening”. 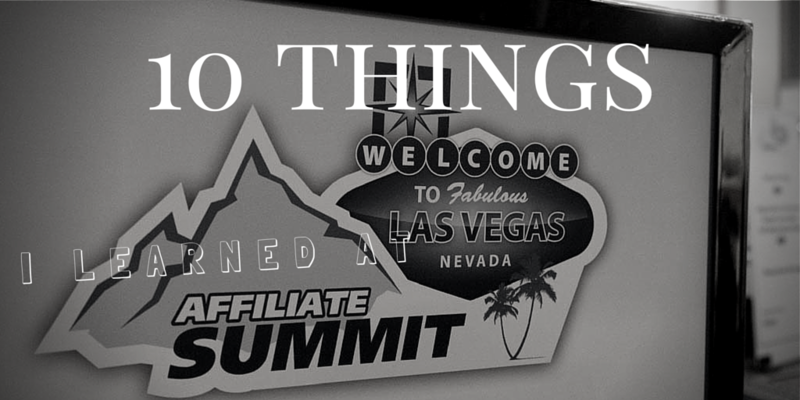 The 3 days in Las Vegas for me introduced me to a whole new world of affiliate marketing. Between meeting some of the most successful internet marketers to meeting affiliate companies, and so many like minded entrepreneurs made the whole trip worth it. 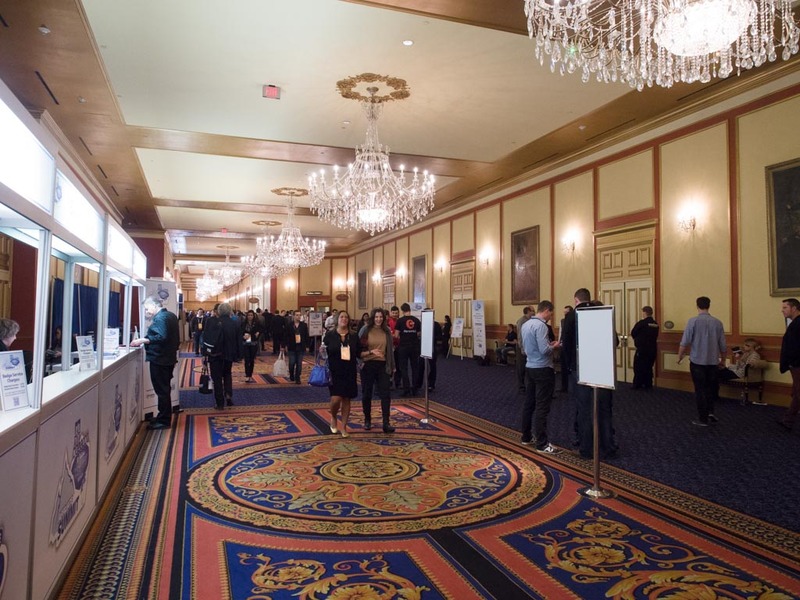 Hallways of ASW15 at Paris Las Vegas. While ASW15 isn’t going to make me rich overnight, what it did was plant the seed for two things. 1) ideas and concepts for me to try that I picked up on throughout the conference and 2) as cliché as this sounds, taking away inspiration that anyone can make money online as long as you put your mind to it. Hanging out with my travel blogging pals Samantha and Yeison of Mytanfeet. Pre-networking helped to line up some pretty useful meetings. Got invited to a baller dinner at the Eiffel Tower Restaurant thanks to Siteground (you guys seriously rock) and got to meet Sayed Balkhi WPBeginner and David Henzel of MaxCDN. Got tons of ideas for different ways to monetize via affiliates. Completely overwhelmed as a newbie trying to do everything (chicken with head chopped off syndrome). Samantha and Yeison of Mytanfeet and Kerwin of Passrider brought some sanity to the event. It was great meeting them in person and nice to see that I wasn’t the only travel blogger there. Although the blogger meetup was a bit meh, got to meet a few interesting bloggers and found out about Charles Ngo’s private seminar at Caesar’s. A ton of fruitful conversations with affiliate networks – the biggest being set up with WP-Engine finally and also meeting someone from Tours4Fun. Skipped a ton of meals because there was that much to do. Ton of swag was collected. Hanging out with Kerwin at ASW15. 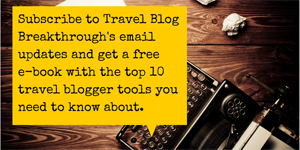 As a travel blogger, what was great about ASW15 was the fact that I was able to see what people in other industries were doing. That’s one of the things I always encourage other bloggers to do. 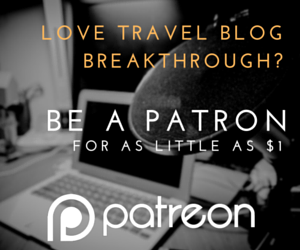 All too often we stay in our little bubble and we get hung up on the latest “thing” or obsess over what another travel blogger did. The problem with this is that it becomes harder to innovate and try new things. Stepping outside of my circle was a breath of fresh air. I was able to draw a lot of inspiration from bloggers in different verticals and see what strategies for making money through affiliates that I hadn’t seen or heard of before. While not all strategies applied to me, the conference showed me that affiliates can make serious money and gave me a nudge in a big way to focus more on the business of my blog. At the exhibit floor of ASW15 at the Paris Hotel in Las Vegas. Affiliate types – I quickly began to realize that almost everything we see on the internet is affiliate driven. There’s the standard cost-per-sale (CPS) type affiliates like Commission Junction that I’ve mentioned before but then there are all these others that revolve around cost-per-action (CPA), cost-per-lead (CPL), etc. that have different strategies involved. The reality is that not all people write their own content. Through networking I found a ton of people that built sites upon hiring writers to create all their content. Shareist is a tool that I discovered that allows people to create content on their blog by simply syndicating it from other places. It was intriguing to learn about how other types of bloggers create content and then monetize off of it. The crazy thing is that the tool does way more than that. Great way to connect directly with real people behind affiliate networks – With a conference like this you can meet people face to face and as a result this can lead to making suggestions about their programs, get personal attention on an issue you’re having or close potential deals. Automatic acceptance into affiliate networks – A lot of programs have certain requirements or a lengthy approval process. You realize this is just to weed out the sketchy people and so if you’ve met with them in person, you’re more or less vetted already so just hit them up after the conference and you’re in. The power of networking – This is all timing and chance but you never know who you’re going to meet. Meeting that one guy at the blogger meetup resulted in going to the Charles Ngo event. From that event I learned about CPA and sitting beside Lloyd of For Men Gifts led me to getting the full lowdown of how it works and how he’s tried it. I never could have planned for any of that. ROI is king – The main message I kept on hearing from people there is that you can look at all the stats in the world but at the end of the day it’s all about ROI a.k.a. revenue when you talk about testing for affiliates. What whatever you do whether it’s testing of Facebook ads or use of affiliate links, do whatever is making you more money and drop whatever isn’t. All you have to do is ask – One thing I realized is that by being able to talk to affiliate networks one on one, there’s opportunity to ask for things like increased commission rates, Tier 2 (see below), line up new podcast guests and get custom discount codes created. 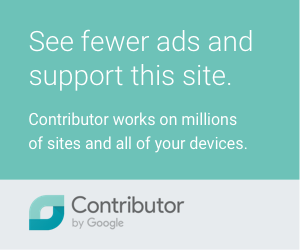 Discovery of CPA (cost per action) – I probably incorrectly label this as the “dark side” of affiliate marketing but from everything I heard, every spam ad you’ve seen is the result of CPA. What’s different about CPA compared to CPS (i.e traditional affiliate networks like CJ, Affiliate Window, and ShareASale) is that you don’t necessarily need a sale to make money. 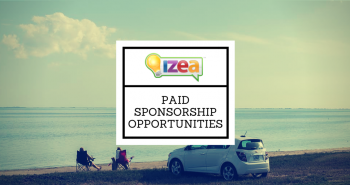 Essentially all you have to do as an affiliate is drive traffic to a company’s offer and get them to complete an action like the filling out of a form to get a free product. Remember all those spam ads you saw about acai berries? Yep that was all CPA. What interested me the most about this were the legit applications of CPA and the potential behind it. Hanging out with the Siteground family. Bring a LOT of business cards. I kept on having to refill my business card holder throughout the day. Make sure the back side of the business card is writable. The backside of my card is glossy and so a lot of people had trouble making notes. Bring a comfortable backpack to carry all the loot you’ll be collecting. I had a messenger bag and my shoulders were dying at the end of each day. Pre-networking is powerful – Setting up meetings beforehand made sure I got to meet key people I cared about. Don’t forget the big players – Throughout the conference I kept seeing people with name tags of big travel companies like Qatar, CheapFlights, and IHG. I wish I knew so I could do some pre-networking to set up meetings. I would brush by one of these people on the conference floor but there was never any chance to stop them and say hello. Try to get signed up for dinners – People in the know go to these dinners and they’re invite only. Even if you’re not invited to one it doesn’t hurt to ask affiliate networks you’re a member of. After parties are awesome – This year, ShareASale’s party was awesome because it was paid for and completely open bar. It was also a great place to network further because it was in a lounge setting. Affiliate Ball on the other hand was purely a clubbing experience so it wasn’t so great for networking. But hey Sean Paul was in the house. Sign up early – There’s always an early bird price for ASW and with that set you can make hotel bookings a lot earlier. What I didn’t realize was that there are a lot of conventions happening in January. Vacancy can be come an issue. Think about your meals ahead of time because during the conference you’ll honestly have no time to really think about it. I skipped so many breakfasts and lunches because there was constantly stuff to do/see/attend. VIP pass is worth it – I talked to some attendees and they said they made some great connections simply from the lunch that you get as a VIP. You never know who you might be sitting next to. 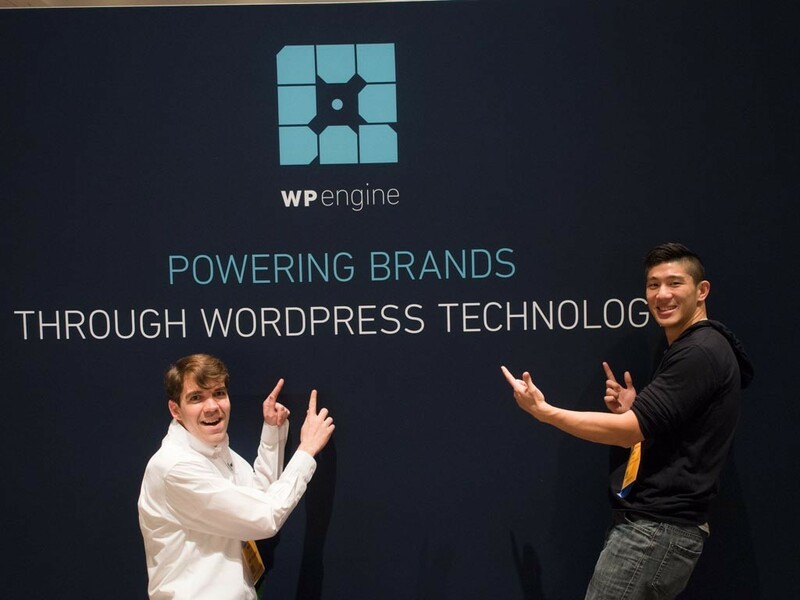 Having a little fun with WP Engine at ASW15. In short I’d say yes though I think it really depends on how far I get in implementing the strategies that I learned at ASW15. 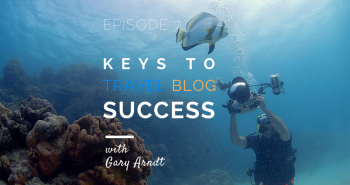 I felt that my first time was great as an introduction to shift my mindset about the business of blogging and if I were to go a second time around, I’d want to have things in motion on my end so I’d be able to go in with a much more precise action plan. Affiliate marketing is something that doesn’t have a strong presence in travel blogging and so it’ll be interesting to explore what possibilities exist for us whether it’s leveraging existing networks I’m part of or trying to figure out where CPA figures into the mix. So please ask away in the comments below! What have you done with affiliates so far. What works for you and what doesn’t? I haven’t had a ton of luck as you can see from my income reports but looking to change that around. It’s all about execution…and well finding the time to make those changes (something I’m having trouble with right now). Hey Will. Great post! I always wondered what the deal was with this conference. Can’t wait to read about how you implement what you learned. A great tip about writing on glossy business cards is to always carry a sharpie…. it will write on everything! 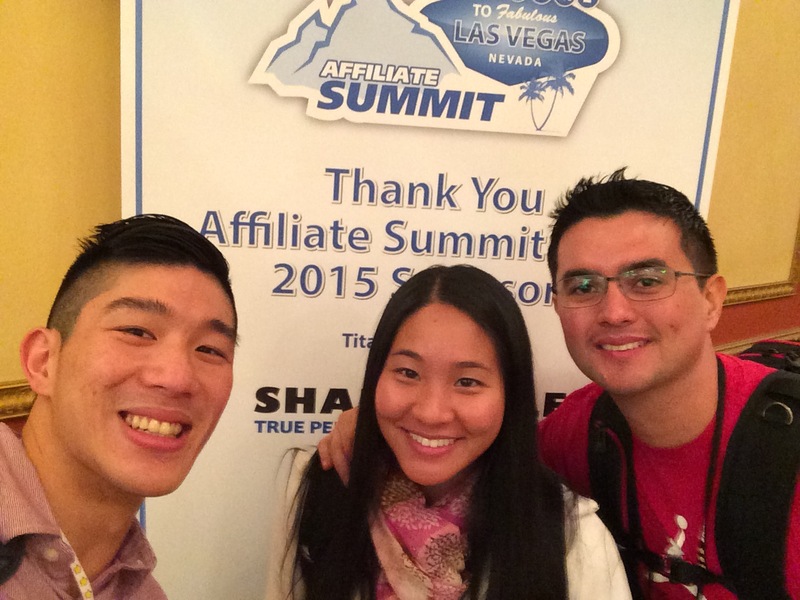 Glad to hear you found Affiliate Summit to be worthwhile. I like your tip on business cards that you can write on. I have metal business cards, which I thought were a great idea, but unless you have a magic marker, you’re not able to write on them. Yeah it didn’t even occur to me at all before going to ASW so that was a fun little lesson learned. You guys put on a great conference so big congrats to you and Missy!! The affiliate market is bigger than the actual product producers. The thing is affiliates are able to reach different parts of the Internet and thus, able to sell more. thank you!! this article help me well!! I wonder which type of pass I should buy. but by reading your article,I decide to buy VIP pass!! You’re most welcome! You’re going to have such a great time out there. Which one are you going to? 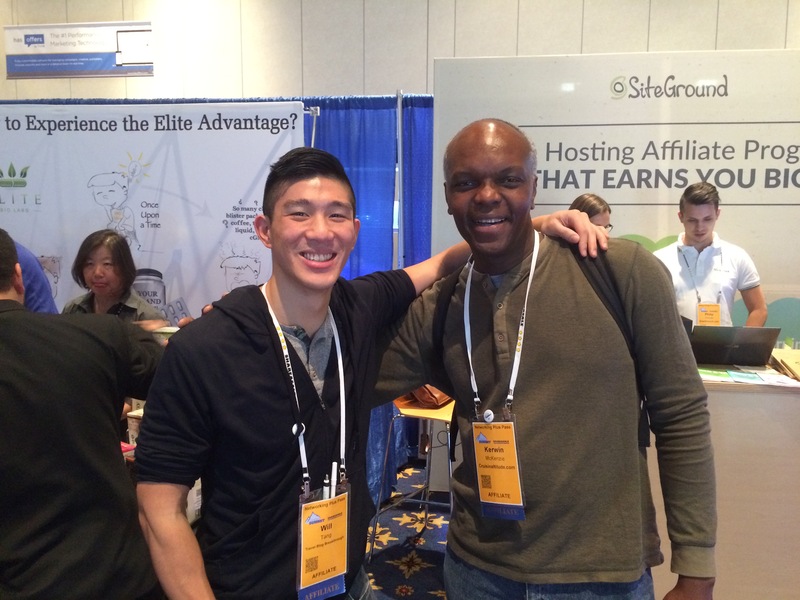 Hey Will, thanks so much for sharing your experiences about ASW15! I was searching on Google for exactly this and you certainly delivered. I am looking forward to ASW17 and will be going VIP thanks to your recommendation. Did you take a lot of notes? What were the Keynotes like?